To date there are over 150 cities and counties that have passed the “ban the box” or “fair chance” ordinance. 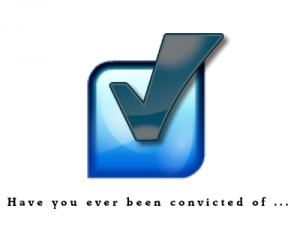 The ordinance is designed to give applicants with criminal conviction a fair and equal chance at employment by removing the conviction question from private employer applications and delay any actual background check until after the initial interview or until a conditional offer has been made (timing varies depending on State or City). A total of 24 states have enacted some form of the policy – California, Colorado, Connecticut, Delaware, Georgia, Hawaii, Illinois, Louisiana, Maryland, Massachusetts, Minnesota, Missouri, Nebraska, New Jersey, New Mexico, New York, Ohio, Oklahoma, Oregon, Rhode Island, Tennessee, Vermont, Virginia and Wisconsin. President Obama has even endorsed the ordinance by directing the Federal Agency to delay background checks until later in the hiring phase. Following this directive, the Office of Personnel Management (OPM), one of the governments largest departments enacted fair chance hiring practices this month (January 2017). With already slow and arduous hiring process this change will no doubt add to the hiring delay and cause back-log to the newly formed National Background Investigations Bureau (NBIB) tasked with performing criminal background checks for the OPM. The Equal Employment Opportunity Commission got involved during the spread of the ordinance with their own guidelines set forth in 2012 on individual assessment, targeted hiring and the use of arrest & conviction information in employment decision making. Ban the box initiatives do not mean that a background check can be performed, just delayed, and if adverse information is found then the employer ensures that the information is used fairly and in accordance with the Equal Employment Opportunity Commission’s (EEOC) guidance on the use of criminal backgrounds in employment. The ordinance prohibits private employers from inquiring about an applicant’s criminal history until after making a conditional offer of employment. After a conditional offer of employment is made the employer may conduct a background check. If adverse information is found the employer may not take adverse action based on that information unless “the employer has determined that the individual’s criminal history bears a direct relation to the duties and responsibilities of the job and makes the individual unsuitable for the job”. If after proper assessment an employer decides to rescind the offer, the employer must inform the applicant in writing that the decision was based on the individual’s criminal history. There is no right of action against an employer in violation under the ordinance, but the Equal Employment/Fair Housing Office will field all complaints, investigate violations and administer civil penalties. First-time violations may result in just a warning if the employer agrees to attend training. For repeat or serious violations employers will be given 10 business days to correct a violation after receiving notice, otherwise they may face up to a $500 civil penalty. The complete Ordinance can be found here.